Using Lego Mindstorm NXT, this class will explore the world of robotics and basic programing. 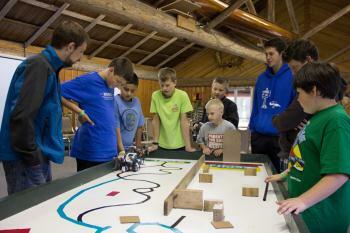 Taught by Walla Walla University engineering students, campers will design, build and program robots to overcome a set of challenges set forth by the instructors. It is recommended that you be familiar with Legos and have basic computing skills.